The Proleek dolmen (portal tomb) dates to the Neolithic (Stone Age), around 3000 BC. The dolmen is composed of two portal stones, a lower backstone and a massive capstone, which weighs about 40 tonnes. It was used for interments in which the cremated remains were placed in the tomb, often accompanied by grave goods, including tools, beads and pottery. 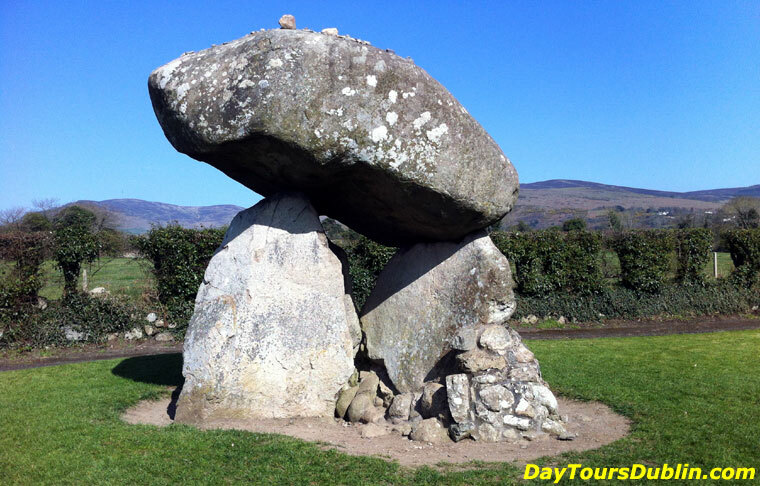 Stone age monumnets often have a solar alignment or an alighment to a landscape feature, the Proleek dolmen has two possible alignments, its portal points toward Slieve Gullion and the setting sun at the summer solstice. Local legend claims that the dolmen dates back to a battle between a Scottish giant Para Buidhe Mór Mhac Seoidin and the Irish mythical hero Fionn Mac Cumhaill. Para challenged Fionn mac Cumhaill to combat, but Fionn poisoned the nearby river and Para drank from it. The Scottish giant was buried at the wedge tomb nearby. Another local tradition claims that if a visitor lands three stones atop the dolmen, they will be granted a wish, or will be married within the year. 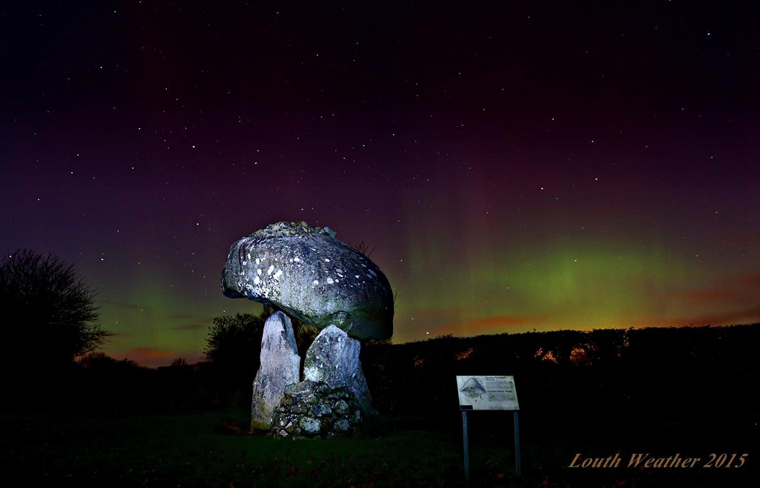 The Northern Lights (Aurora Borealis) over the Proleek Dolmen.